Jaipur, Feb 12 (IANS) An Indian Air Force (IAF) MiG-27 aircraft on Tuesday evening crashed near Pokhran in Rajasthan, officials said. The pilot ejected safely. The plane was airborne on a training mission from Jaisalmer and crashed around 6.10 p.m. near the Pokhran range. 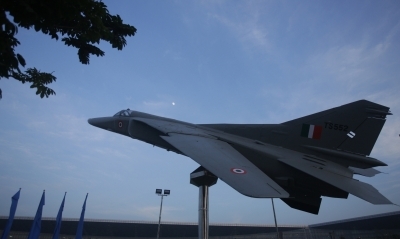 An IAF spokesman said a court of inquiry would probe the cause of the accident.